Matt, Today a news crew is interviewing me about your addiction. I am sharing our story about how horribly you were treated during your struggle. I want the world to know that you did not have to die from this very treatable disease. That had society and the insurance industry felt the need to save you, you would be alive today. But society sees addiction as a dirty disease and feel that those who suffer from it aren’t worth saving. I have a different opinion. You were worth saving. Your life had meaning and value. I remember you before the addiction took control of your brain. Your giving heart. Your beautiful soul. The problem with society is that people are blinded by the disease. They refuse to see beyond behaviors that are part of the damaged brain. I wonder how many parents would punish their child after a diagnosis of any other disease. Would they disown the child sneaking the candy bar because he doesn’t understand the harm of eating it after becoming a diabetic? Why does society feel its acceptable to label addicts as not worth saving? How can strangers be so harsh in their judgement of people they know nothing about? After living the nightmare of your addiction I chose to fight back against a society who has no clue. To honor your life that was cut short because of stigma. I tell your story to whoever will listen. 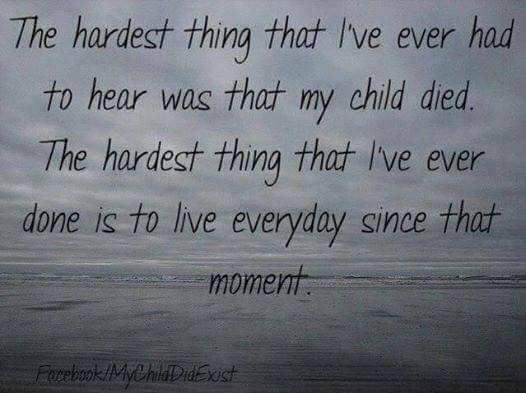 I fight to save other mothers from my grief. I fight to save other mother’s children from your fate. I speak out about how you were treated and how society thinks addiction is a dirty disease and those who suffer from it are disposable people. There is a world wide misconception that addiction is a self inflicted disease. I guess it’s easier to form an opinion when you disregard the facts. The brutal reality is that addiction is a man made disease. Created by overprescribing physicians. Many who received kickbacks from pharmaceutical companies for prescribing opioids for every ache and pain. You followed doctors orders. You trusted the pill pushers hiding behind their white coats. You became a victim of an industry that cares more about profit than it does for quality of human life. I guess its easier for people to point fingers and whisper behind our backs passing judgement about a disease they know very little about. I guess perceptions and pre-conceived notions are more acceptable when you haven’t lived the disease or witnessed the struggle. I’ve learned that pre-conceived notions fuel the stigma and contribute to the bias against this most powerful, deadly disease. I pray that telling your story will begin to break down the walls and change the hearts and minds of those who believe that people like you are disposable. That your life didn’t matter. That the disease of addiction wiped away your worth and made your death acceptable to society. I pray that seeing your smiling face and my grieving one will start the crack that begins to unravel misconceptions regarding those who suffer from the disease of addiction. Telling our story keeps you alive. Telling your story keeps me alive. Matt, Today is my birthday. My third without you. I still have such a hard time believing that there will be no phone call or card signed Love Matt. You won’t be hiding in the house to surprise me. Once again I try to get though another milestone without you. I’m in New York. Funny you know I would have rather spent my day at the beach walking on the sand listening to the sea birds and the crashing of the ocean. But my article about your addiction was featured in a magazine and I was invited to attend the reveal here in NY. This humbling experience was something I could not miss. Since your death, I have become an advocate for the treatment of addiction. I write and speak about how horribly you were treated by the Insurance Industry and treatment facilities. I speak out about the ugly stigma that follows addiction. I work to make changes in our state laws. It’s the only way I survive. Your death rocked me to my core. Everyday I struggle to find my new normal. Everyday I pray that you are finally at peace. Everyday I wake to this empty house. My regrets about letting you go to Florida smack me swiftly in the face. I feel so guilty about your death. I still can’t believe I didn’t see how wrong it was for you to leave home and go so far away. The thought of you being dumped in a motel to die kills me more and more each day. My guilt beats at my soul. My brain questions what kind of mother lets her son go so far away? I wanted you to have a fresh start at a new life. I was tricked into believing that new people, places and things would cure you. All those books written about addiction by people who think they are experts in the field led us down the path of no return. Parents who talk about tough love and disowning their kids because of addiction. So much misinformation published by people who think they have the answers to addiction. Don’t they know that every family is different? There is no black and white once size fits all in this ugly disease. Misleading parents like me that if we follow what they did our story would have the same happy ending. Looking back I should have followed my gut. I should have known you would never survive without your family close by to support you when you fell. I knew you better than anyone and still I let you go. Those books have been trashed as they should have been so long ago. It’s ironic. I wrote the truth about us. The ugly, horrible, brutally honest truth about how your addiction stomped our family to death. How your addiction shattered us to the core. How I became addicted to your addiction and turned into a person I no longer recognized. Funny, the editor I sent it to told me it was too ugly to publish. That both you and I were horrible people. That no one would want to read my work. At first her words crushed me. Then reality hit. The reason this epidemic continues to have such power killing far more than any disaster or war is because many people don’t want ugly. People want pretty. People want fairy tale endings. People want to think that if we continue to ignore addiction it will go away. That it won’t affect our families. That addiction is something that happens to others. That addiction is something we can walk away from and never look back. We only want to hear about beautiful children from perfect families who go on to lead successful lives. I blame myself. I should have never let you go. I lived the ugliness with you. Yes, there were a few glimpses of pretty. The few times you came back as the Matt I knew before. Times when the possibility of our fairy tale ending played tricks with my mind. Your addiction was more powerful than even I could have ever imagined. Your addiction won. Now I live with regret. I live with guilt. The joke was on me. I live knowing that birthdays, holidays and life in general will never hold the same meaning. Oh how I wish I read how brutally ugly the true reality of addiction could be. Matt, Guilt is defined as a feeling of having done something wrong. A feeling of letting someone down. A painful emotion when one believes that their behavior has affected the outcome of another. Guilt has moved into my psyche and refuses to leave. During your active addiction, my head was spinning. Taking time to quiet my mind was a luxury I didn’t have. Now the quiet is deafening. The quiet has become a powerful enemy. It gives me time to replay every thought, every decision, every move I made to save your life. This unwelcome quiet knows my every move. It lurks ready to pounce when I least expect. All of a sudden the lightbulbs that remained dark have illuminated my mind allowing me to see clearer than ever before. My Aha moment. A moment I so desperately needed during your addiction once illusive now smacks me in the face every chance it gets. I have become a crime scene investigator. Sifting through the rubble of our shattered lives. Searching for clues as to what went wrong. The belief that I let you down holds tight to my heart. Searching my mind for the actions done and not done that might have changed your outcome. Yes, I know you were an adult. I hear that voice of reason trying to break through my subconscious when I’m beating myself into the ground. When the guilt joins my grief swallowing me whole and refusing to let me come up for air. I try to remember that you were a man. All my broken heart sees is my little tow headed boy reaching out for a mother who was a thousand miles away. Mothers are supposed to protect their children. That belief comes with no expiration date. We don’t stop loving, protecting or saving when our kids become men. You were so controlled by your addiction you could not save yourself. Being a man really had nothing to do with who was responsible to save you. You were brainwashed into believing you controlled the disease. You were a victim to a deadly mindset that even a mother’s love could not break through. So now I’m left to sort through endless emotions. To rethink every decision made. To replay and rewind every scene of our very tragic story. The mind is a powerful thing. It has no on-off switch. It has a mind of its own and I have little to no control when the memory will hit taking my breath with it. Mother’s are born with the guilt gene. I know I was. It came to life as you were placed in my arms and moved into my soul becoming more powerful each year as I tried to protect you from yourself. I feel like I failed you. I look for signs that you see what I go through. I question if you understand that you are really gone from this life. I wonder what it was like for you. Did you finally understand that you crossed the line and would not wake up? Did you think of me or did the euphoria carry you away without a care? Did you picture my face or hear my voice telling you that one day you would forget and fall asleep forever? Did you wonder what your death would do to my life? So now I fight to survive. I fight to allow a little of my guilt to fall on your shoulders. I fight myself when the full responsibility of your death punches my heart and drops me to my knees. I fight the image of my tow headed innocent son allowing a small slice of our reality to ease my pain. Yes, you were a man with a disease you had no control over. This disease took you away. I try to recall facts, statistics, anything that helps me to understand that I like you were powerless over your disease. I wish you and I could have one last conversation. I wish I could hear you tell me it’s not my fault. My heart would love to hear that I am forgiven. That you knew I fought for you and against you to save you. 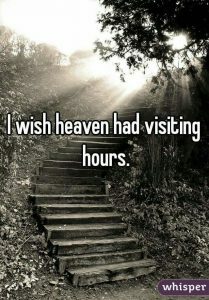 God how I wish Heaven had visiting hours………. Matt. I wish I could tell you that things are getting better. That after 32 months my grief has become manageable. That it no longer holds the power it once did over my heart and mind. I wish I could say time is helping to lessen your loss. I wish I could lie and say the days of gut punches, struggling to breathe and the uncontrollable flow of tears after a song, a smell or a memory hit my heart are gone. I wish all those things people say to make things better were true. The reality is my life doesn’t follow any path or pattern. 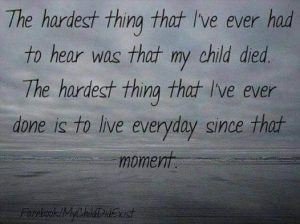 My reality continues to be one of unexplainable loss and unrelenting grief. I remember me before the loss of you. A smart girl who loved life. Always finding joy in the little things. Always able to turn lemons into lemonade. I had a large circle of friends. My home filled with laughter and love. Holidays were full with friends who had no family. The more the merrier. We laughed until our faces hurt and then we laughed some more. Happy hours on the weekends with whoever was in town. Crabs and beer. People and pups. Life always full of plans and adventures. Exploring new places in a kayak or on a bike. I was called the clown, the practical joker. Always ready to put myself out there at the drop of a hat. Old pictures show smiling eyes and happiness. Today, I struggle to find peace. To accept who I have become since you left. Joy is something I briefly remember but no longer feel. Our house is quiet. Many Friends have moved on. I’m no longer that smart girl. Saving babies is a beautiful memory. Holidays once so cherished and looked forward to are now something I fight to struggle through. Once celebrated now survived. I never knew the incredible power of grief. I would never believe how it changes who you are from the inside out. I remember holding a screaming mother as she said goodbye to her precious infant. I never in a million years though I would be that mother screaming for my precious son. 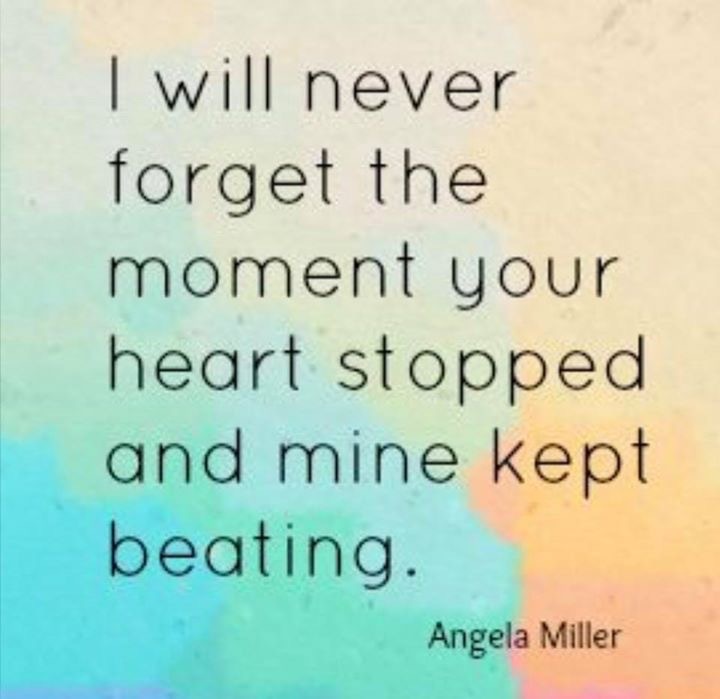 Experiencing the heartbreaking loss I witnessed many times in my nursing career. This grief so much like childbirth. Until you live it you could never imagine the pain. My life is in two parts now. I call it the before and the after. I no longer recognize the face that stares back at me from my mirror. Grief has taken its toll. 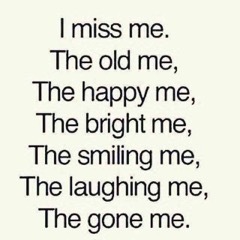 My light is gone. My eyes show a soul that’s shattered. I’ve forgotten how to smile. My laughter is a thing of the past. I look at pictures taken before you left and it hits me that in reality we are both gone. Pictures of happiness and joyful occasions. You and me our faces covered in smiles. Eyes filled with light and life. From simple everyday stuff to you walking me down the aisle of the tiny church in the woods when you stood by my side as I said I do. Those pictures encompass our before. Bittersweet and what I have left of our life so precious, so cherished. Time is now counted out in the months and days since you left. I remember the last conversation. The exact time we spoke. 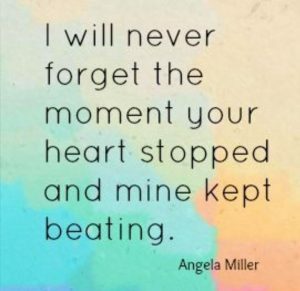 Our last sharing of the words I love you. Before I never counted time. Days, weeks and months flew by unnoticed. Today everyday that passes is a constant reminder of how long its been since I’ve heard your voice or seen your face. I now wear a mask. It protects me from the world. I’m so tired of defending my grief. Defending the person I am today. Wearing my mask is easier. I’m protected from a cruel world where grieving has an expiration date. Where grief has overstayed its welcome but refuses to go. Some days my longing to have you back walks hand in hand with my longing to have me back. We left together on the very same day hours and miles apart.